According to referendum's official Twitter account, The website for the upcoming referendum on the independence of Catalonia has been visited 708,000 times since the link to it was made public. MOSCOW (Sputnik) – The website for the upcoming referendum on the independence of Catalonia, an autonomous region of Spain, has been visited 708,000 times since the link to it was made public, despite government authorities' blocking attempts, the organizers said Sunday on the referendum's official Twitter account. "Despite all the obstacles set by the state, the website has had an estimated 708,000 visits since it was made public," the message read. — ref1oct (@ref1oct) 17 сентября 2017 г. ​Earlier in the day, an instruction on how to circumvent the block using a proxy server was posted on the Twitter account. On Wednesday, CDMon, a hosting company, blocked the website based on a court decision. Catalonia's prosecutors had asked the court to block all websites linked to the referendum, but no final decision has been made on the issue yet. Earlier in September, Catalonia’s Parliament passed a bill giving the referendum, scheduled for October 1, a go-ahead, but the Spanish government called the bill illegal and challenged it in the Constitutional Court. 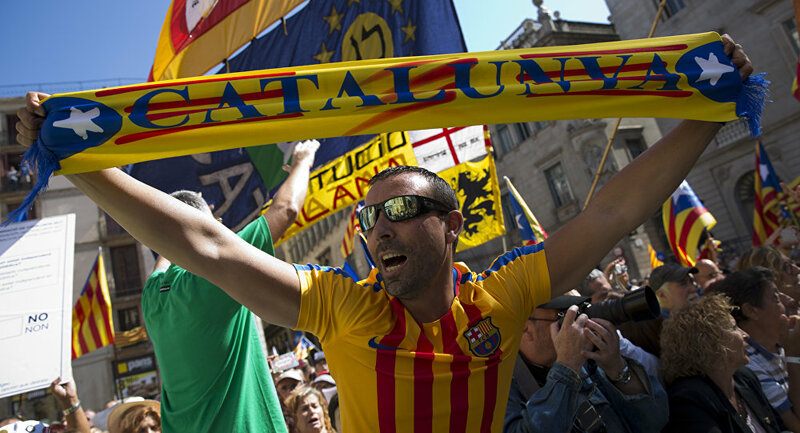 The next day, Spain's Constitutional Court accepted the lawsuit for review, thus suspending the Catalan law.